Storyteller Sahand Sahebdivani and Iranian ud player Yasamin Shahhosseini bring Persian tales from antiquity to life. Shahhosseini (born in 1992, in Teheran) is a special guest at the Ud Festival. She studied classical music at Tehran Conservatory and now teaches at the institute. In her solo work, she succeeds in incorporating variations of the classical Persian maqam tradition into contemporary compositions. Over the past few years, Sahebdivani has become the live face of storytelling. Inspired by old tales, he also has a personal take on topical issues that resonates with today’s audiences, making a big name for himself in Europe with Kingdom of Clay and Fire. 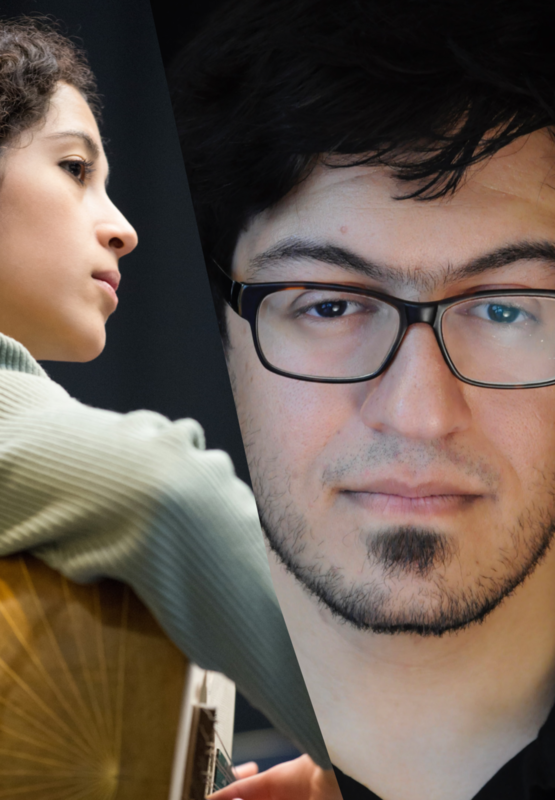 The two Persian artists come together for a sensational show at Mezrab, ‘The House of Storytelling’. Shahhosseini will perform selections from her solo compositions, as well as colouring Sahebdivani tales with a musical score.